We will pass that hat during the night to raise money for THE NEW ORLEANS MUSICIANS RELIEF FUND. There will also be a silent auction of music and memorabilia of performers. are joined by: Frank Ruffo, Sophia Perlman, Big Rude Jake, Patricia Murray, Adam James, Marieve Herington and 11 year old singer/actress, Samantha Weinstein! Sophia Perlman and The Vipers have been wowing crowds at The Reservoir Lounge for over a year. Practice your New Years Eve countdown a night early at The Rivoli and enjoy some great music. Mark Breslin has done it once again...he's put together a killer line-up of comics with music from Jaymz Bee, Waylen Miki, George Koller and Great Bob Scott. Comics include: Rich Hall, Kristeen Von Hagen, Jason Rouse, Ian Sirota, Lou Eisen, Jean-Paul, Simon Cotter and the B-Girlz. 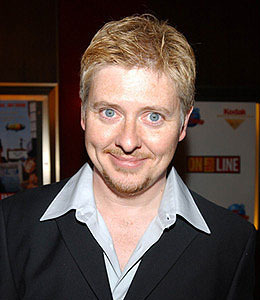 The evening is hosted by Dave Foley.